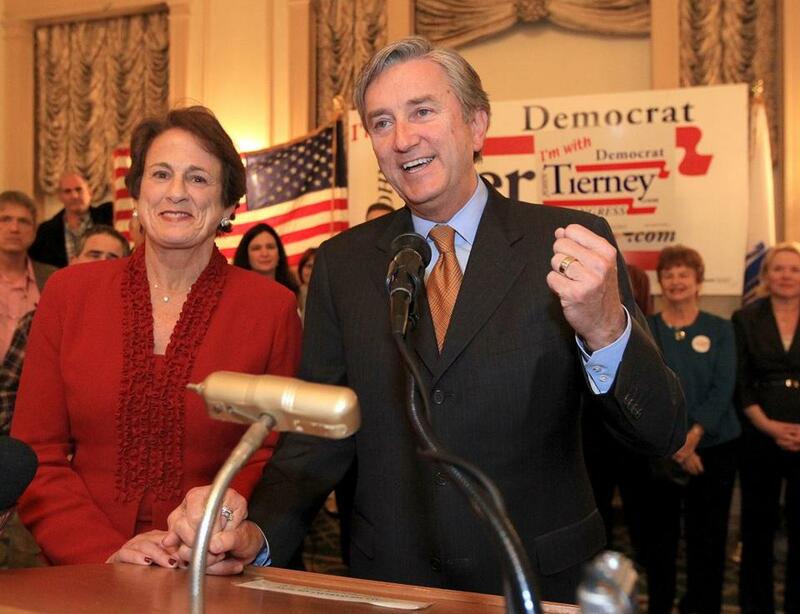 Representative John Tierney, whose wife Patrice plead guilty to helping her brother file false tax returns, narrowly won reelection last year. US Representative John F. Tierney, who narrowly won reelection against a Republican last year, will face a challenge in next year’s Democratic primary from a former Marine who served four tours in Iraq and plans to launch his campaign next week. Seth Moulton, who said he came close last year to jumping into a three-way race against Tierney and Republican Richard Tisei, told the Globe he plans to wage a fresh-face campaign against the nine-term Salem Democrat, seeking to dislodge a member of the same party from a Massachusetts congressional seat for the first time in more than two decades. Tierney survived Tisei’s challenge, winning by 1 percentage point, despite criticism over his wife pleading guilty to helping her brother file false tax returns in connection with an illegal offshore sports gambling operation. Moulton, a 34-year-old Marblehead native, holds three degrees from Harvard and, since leaving the Marines, has worked as managing director of a Texas rail company and now leads a North Shore start-up aimed at combating obesity. He has enlisted seasoned Democratic operatives to help him in his first run for office. Joe Trippi, who managed the 2004 presidential campaign of former Vermont governor Howard Dean, will be a senior adviser to the campaign. Moulton spoke with the Globe in the offices of the Liberty Square Group, a Democratic consulting firm led by Scott Ferson, a former aide to Senator Edward M. Kennedy. Max Glass, who last year managed Hawaii Democrat Tulsi Gabbard’s successful House campaign, will be Moulton’s campaign manager. Moulton said he plans to file campaign papers Monday with the Internal Revenue Service and formally announce his campaign Tuesday, followed by a 10-day tour of all the cities and towns in the Sixth Congressional District, which occupies a northeastern swath of the state. Moulton, who last year described himself as “fairly centrist,” considered making a 2012 run as an independent after deciding that it was “too late to feasibly get into the Democratic primary.” He said he would have caucused with Democrats had he won. Ultimately, he concluded that logistical hurdles to entering the race were too substantial. Moulton said he has always been a Democrat. In taking on Tierney, Moulton confronts a Democratic hierarchy made confident by a string of victories since former US senator Scott Brown’s special election win in 2010. Party heavyweights lined up behind Edward J. Markey early in this year’s special-election primary to succeed John F. Kerry, and fellow USRepresentative Stephen F. Lynch was never able to make up the deficit. Already, the Democratic Congressional Campaign Committee, responsible for helping Democrats win election and reelection to the House is leery of Moulton. “While I am unaware of any candidates who have officially announced at this time, I welcome people of all parties to the campaign to represent the residents and families of the Sixth District in Congress,” Tierney said, promising to “work tirelessly” to earn their support. Moulton said he was unconcerned that the party establishment would line up against him. “The Democratic Party is a party of hope and ambition, and we should be leading the agenda, we should be driving change, and that’s what I want to do,” he said. Moulton graduated from Harvard College in 2001 and decided to join the Marines before the Sept. 11, 2001, terrorist attacks. After two tours in Iraq as an infantry platoon commander, he served two tours as an assistant to General David H. Petraeus. He went on to receive joint degrees from the Kennedy School of Government and Harvard Business School. After Harvard, Moulton managed a high-speed rail project in Texas, which he said he regarded as a temporary stage in his career. With a friend from Harvard Business School and another from the Marines, he started a health care company designed to approach obesity the way the health care system confronts cancer. When that company, Eastern Healthcare Partners, began to come together in December, Moulton said, he returned to Massachusetts. The firm hopes to establish treatment centers for obesity and related diseases similar to those that treat cancer, Moulton said. “If I told you I had cancer, you’d probably say go to Dana-Farber. But if I said I was overweight, coming down with type 2 diabetes, and diet and exercise weren’t working, there’s no high-end medical solution for that; there’s no reputable, respected medical solution for that,” he said. 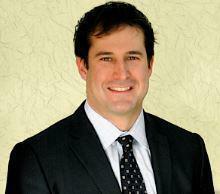 If elected, Moulton said, he would probably look to preserve some interest in the firm. Unseating a congressional incumbent is a rare feat in Massachusetts. Tierney himself took out a Republican incumbent, Peter Torkildsen, in 1996. But the last time a challenger from the same party defeated an incumbent was in 1992, when Martin T. Meehan beat Chester G. Atkins. Tierney was widely regarded as marked for electoral doom last year, after Republican super PACs pounced on the legal woes faced by his wife and her brothers. One brother-in-law was sentenced last summer to three years in federal prison over his connection to an illegal offshore gambling scheme, and then accused Tierney of having full knowledge of the operation. Tierney denied the allegation and has never been implicated in a crime. Tierney’s wife, Patrice, served a month in prison for helping one of her brothers file false tax returns while managing the illegal gambling income. But Tierney narrowly beat back a stiff challenge from Tisei, an openly gay, abortion rights-supporting GOP moderate whose profile many handicappers in both parties thought left him well-positioned to depose an embattled incumbent. Moulton, in the first interview of his campaign, declined to criticize Tierney directly. But he deployed rhetoric that has become common as candidates seek to tap into voter dissatisfaction with Beltway entrenchment. “I’m not interested in going to Washington just to get reelected every two years,” he said. Jim O’Sullivan can be reached at James.OSullivan@globe .com. Follow him on Twitter at @JOSreports.